Children begin enjoying books when they are read to, attend story times at the library, and begin selecting their very own books to check out and take home. Research indicates that children who participate in public library summer reading programs return to school ready to learn, improve their reading achievement and skills, increase their enjoyment of reading, are more motivated to read, are more confident in their reading, read beyond what is required in their free time, and perceive reading to be important. Raymond Village Library will be participating in Fizz, Boom, Read, the theme for The National 2014 Collaborative Summer Reading Program for children and teens. Mad Science of Maine will be performing during the kick-off on June 29th at 1 p.m. If raining, the kick-off will be held at the Raymond Public Safety Building on 302. Goody Bags filled with a reading log, fun games and Sea Dog tickets will be available at the kick-off. Weekly prizes will be awarded to participants. The program will conclude on August 17th. July and August programs include: Wednesday, July 9 – Experiment: Create your own goo. Wednesday, July 16 – Origami, create and race paper airplanes. Wednesday, July 23 – Experiment: Create a volcano and watch it explode. Wednesday, August 6 – Fire Safety: Raymond Fire Department. Sunday, August 17 – Dog Safety with Classic Paws. These all take place at 10:30 a.m. outside the Raymond Village Library. Children’s Story Times will be held most Mondays at 10:30 a.m. In case of rain, they will be held at the Raymond Public Safety Building. For more information, call the Raymond Village Library at 655-4283. The summer reading program is sponsored by Gorham Savings Bank. A grant from Loon Echo Trust has made it possible to have two family star gazing nights on Hacker Hill off of Quaker Ridge Road in Casco in collaboration with the Casco Public Library. Join Ed Gleason from University of Maine Planetarium and David Manchester a member of Southern Maine Astronomers, Tuesday, July 29 and Tuesday, July 12 after dark for meteor showers and star gazing. For more information, call the Raymond Village Library at 655-4283. Leena Couling couldn’t wait for her husband Matt, who is in the US Coast Guard, to return from being stationed away from home. With two children Coral and Alan (2), she was excited to do something for herself. 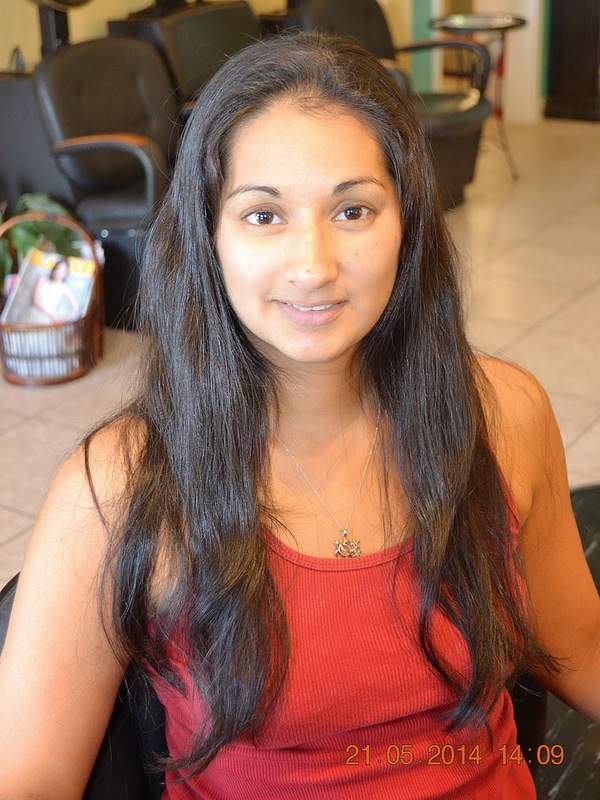 “I’ve never had it professionally cut or colored, only trimmed here and there so this was a big deal for me. I was very nervous about having my hair colored for the first time, but it came out amazing,” Couling said. Couling is a stay at home mom and after a long winter was looking for a change. She went to Raezors Salon & Spa for a new look, Dr. Leslie A. Elston for teeth whitening and Envious Bronze for a pre-summer tan. “I felt refreshed and renewed, and after this long winter, it was just what I needed,” she said. At Raezors, hair artist Shelley Worthing worked with Couling. “Before starting, we discussed what I did not want to have done and then she figured out a plan for me. As she worked, she let me know what she was doing so that helped calm my nerves,” Couling said. Worthing brought Couling’s length to below her shoulders as Leena wanted to still be able to wear it up on hot days. Worthing added layers throughout, while maintaining length around the face and still created some shape around Couling’s face to compliment her. Worthing then added mocha highlights to Couling’s previously darker hair to maintain richness, yet give an overall softer feel. She added, “It’s very easy to maintain and looks great without much effort.” She plans to keep the look. Couling has lived in Windham for three years. They will be moving to Miami for Matt’s next tour. “I’m really going to miss my group of Birchwood mom friends that have been so wonderful here. Tayla, Kim's, Jenny, Nicole, Kristen, you guys have been such great friends and I hope we can meet up in Florida one day!” said Couling. On Sunday, June 1, the Windham High School Girls Group members ran and finished their first ever 5K road race, raising money and awareness for Safe Voices, an organization dedicated to supporting and empowering those affected by domestic violence and engaging the community in creating social change. Girls Group is a semester-long course for which Windham High School students must be nominated, apply and be accepted. The class focuses on the development of leadership, goal setting and healthy lifestyle skills, and requires members to take on new challenges and adventures, including surfing, hiking, and vegan cooking. Their “final exam” is to, as a group, find, train and fundraise for a 5K of their choosing. Girls Group members Tegan Bradley, Nicole Gelinas, Madison McEnroe and Chantelle King selected the 1st Annual Safe Voices 5K, held in Lewiston, and set a goal of raising $1,000 for the cause. Through the generous donations of sponsors, (including the Windham Police Association, PNF, Cross Insurance, AllMed, The Good Life Market, Bob the Screenprinter, Tricia Zwirner and State Farm, WHS Interact Club, WHS Baseball, WHS Girls’ Basketball, Windham Tattoo and Body Piercing, Café Sebago, Children’s Adventure Day Care, Bob’s Seafood, Cassablanca Comics, A La Mexicana, Smitty’s, Studio Flora, Fisherman’s Catch, Buck’s Naked BBQ, Bull Moose and Raezors Salon), whose names or logos were included on the girls’ race day shirts, Windham High School Girls Group raised over $1,200! Many financial advisors and accountants suggest contributing as much money as possible to your workplace 401k or traditional IRA. The money put into these retirement vehicles reduces taxable income and saves taxes today. For many people, funding a Roth IRA may be a better strategy. Traditional IRAs, 401ks, and Roth IRAs all provide generous tax breaks. The difference is when you get to claim the tax breaks. With traditional IRAs and 401ks, taxes are avoided when the contribution is made. With Roth IRAs, taxes are avoided when the money is taken out in retirement. The major factor in deciding whether to take the tax break now or later comes down to whether you expect your income tax rate in retirement to be higher or lower than what you currently pay. Most people expect to be in a lower tax bracket in retirement so they take the tax break today. I suggest you take a harder look at this assumption. For many of my clients, gross income decreases in retirement, but taxable income does not. Sure you are making less money, but you have fewer deductions because the kids are out of the paid-off house (hopefully), and you are no longer setting aside money for retirement. Your taxable income, therefore, doesn’t change much from when you were working. Furthermore, given today’s large deficits and historically low federal tax rates, it is likely that income tax rates will rise in the future. Traditional IRAs and traditional 401k’s force you to start taking required minimum distributions (RMDs) at age 70 and a half. These RMDs can cause serious tax pain. For example, I had a client who sold a piece of property last year for a large gain and consequently didn’t need his RMD in order to live. He, however, was forced to take the money and it ended up being taxed at the highest federal and state levels. He lost nearly half of the RMD to taxes. Roth IRAs, on the other hand, do not require withdrawals during your lifetime. This gives you tremendous flexibility in tax and estate planning. If you don’t need the money in one year then you don’t need to touch it. You can allow the money to grow for your heirs. Unlike beneficiaries of traditional IRAs or 401ks, beneficiaries of Roth IRAs don’t owe income tax on withdrawals and can stretch out distributions over many years. The Roth IRA is a powerful retirement vehicle that deserves your consideration. In exchange for giving up an upfront tax deduction, you get tremendous flexibility on the back end. The above is a summation of complex tax law. Please check with your tax professional before making a decision. Our CPAs at Milliken, Perkins, and Brunelle are available to assist you any time of year. Jacob McPherson is The Windham Eagle student of the week. 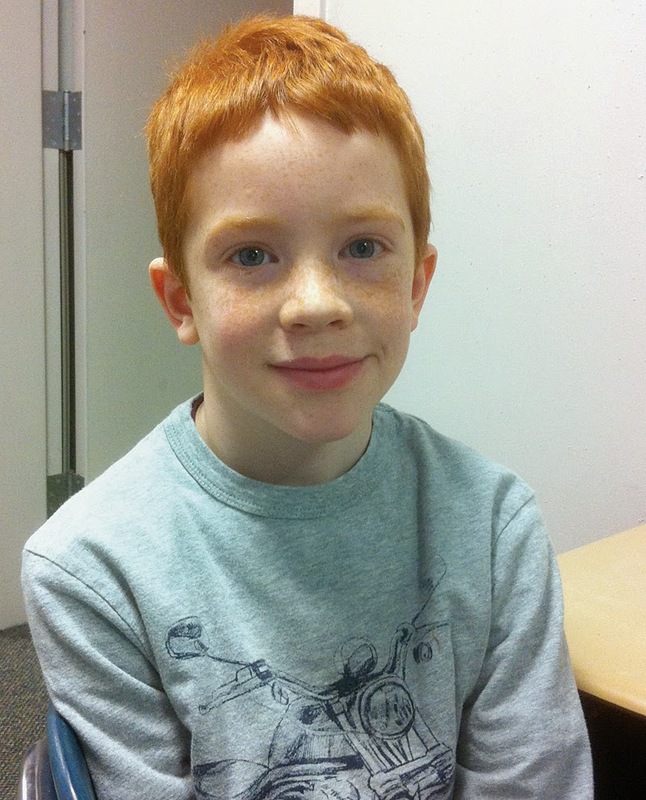 This 8-year-old attends Windham Primary School and is in Beth Peavey’s second grade class. “Peers look up to Jacob as a role model. His performance and perseverance to improve in his academics has been noticed by many teachers,” said Mrs. Peavey. Jacob lives with his Mom and Dad, one brother Ryan, who’s in kindergarten and his sister Addy, who is 1-year-old. He also has a kitten. College plans: Yeah I’ll go to college and play football. Hobbies: I like to go outside and play football and snowboard.